Are you a writer considering making the move to the lucrative career possibilities available in the technical writing field? If so, taking the time to learn the craft is critical to your success. 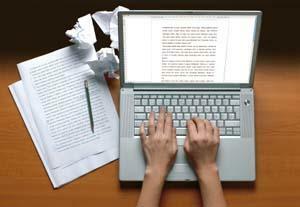 These technical writing tips can offer you a solid starting point. Here are some technical writing tips that you can implement to make an immediate impact on your writing skills. In some cases, you may be your own expert. Writers can also be subject matter experts (SMEs) who write technical manuals for software or technology they created. In most cases, however, your expertise is usually not on the piece of equipment or topic you're writing about; rather writing is your expertise. Therefore, align yourself with quality experts in the field you are targeting. Pick their brains, learn their lingo and learn about the product or service you are writing about to the best of your ability. There is a good chance you will never amass the knowledge that these experts have in their field, so use them to your advantage. Your writing will ring truer if it sounds like you're an expert (even when you're not). If you need to do research, find the original documentation or research. Using secondary and tertiary sources means that the odds of misinterpreting the data or information are increased, and you may accidentally change the meaning or provide incorrect information due to someone else's incorrect interpretation. Always refer to the original. It's worth the time and effort. Before you start a project, you should create a plan and get yourself organized. In the planning phase of the project, you should gather all of the relative information you can find about your topic. This can include any specifications, descriptions, standards, use cases and more. You should also have a very clear indication of what you are expected to produce, be it a technical document, a user guide, an installation guide or something else, and understand in what capacity the client wants it delivered (via email, CD or paper). You will likely have a great deal of information, so organize it in a way so you can easily find what you need when you need it. By planning and organizing, you're already cutting your workload before you even begin writing. In technical writing, it's all about being understood by the greatest number of people. You do not want to have a personal writing style for technical writing; style is great for fiction and personal non-fiction, such as essay, but in technical writing, you want to have a simple, easy to understand scientific tone that does not convey your own personality or identity. Technical writing should sound the same, regardless of who wrote it. Technical writing is all about being clear and concise. Use the least possible number of words to convey the clearest image of what you're writing about. Short, simple sentences are fine. You do not need to write long and complex sentences to convey simple ideas. You also want to avoid being redundant. Editing will help you avoid being redundant. Academic writing and technical writing have some things in common. Avoid using contractions, avoid starting sentences with weak beginnings ("there were" and "it is," for example), and avoid using too much punctuation that isn't necessary. Periods, commas, and other basic, necessary punctuation are fine, but be careful with using semi-colons, colons, and hyphens. Another similarity is the point of view. In technical writing, you should use third person only. Do not use first or second person point of view. When using those outside sources and experts, make sure that you correctly cite them within your writing and at the end of the text. The method for citation will vary based on who or what you are writing for, but remember that plagiarism is plagiarism, regardless of whether it is for a class or for a company. If you did not originally write it, cite it. Consistency is key. Whether it's in how you reference a table or graph or how you refer to another section of the manual or guide, always do it the same way. If you capitalize the first letter of each word in the section title, then always do it that way. If you say, "Refer to Table 1.1," then it should also then say, "Refer to Graph 1.2." If there is a rule in the format you're using, follow it. If not, be sure that your work still follows a style guide, even if it's of your own making. It's not just graphic artists that have to think about how something looks. As a technical writer, your job is to make a document readable. Think about classic fiction that has sentences and paragraphs that take up an entire page. They are dense and hard to navigate, and the lack of white space make it hard to follow. Using headers, sub-headers, tables, and graphs all allow for white space that let readers get through a document more easily. Whatever it is you're writing has parts. They may be physical parts, like those on a lawn mower, or they may be steps, like using software or installing hardware in a computer. Break down those parts and steps into groups of seven or nine. People can handle seven or nine parts and remember them; any more parts than that and your reader can get confused or forget. Don't let your readers lose track of what they - and you - are doing. Break things down to separate parts and then group them. Technical writing is one of the more disciplined forms of professional writing because the writer cannot imbue their thoughts, opinions or emotional feelings in the copy. In technical writing, it's all about the facts. Learn how to master these technical writing tips and before you know it, you'll be in high demand and making good money writing specialized copy for the technical industry.